Edward has a B.S. in Biology from the Massachusetts Institute of Technology and a J.D. from the University of Pennsylvania School of Law. In addition, Edward has over twenty-seven years of patent experience, which includes employment as an associate with the intellectual property law firm of Finnegan, Henderson, Farabow, Garrett & Dunner in Washington, D.C. and employment as a member of Kriegsman & Kriegsman. Edward has considerable experience in the preparation and prosecution of patent applications in the biotech, chemical, pharmaceutical, photonic, mediphotonic, medical and mechanical arts and is also experienced in handling trademark, copyright, licensing, litigation, and related matters. Edward is a member of the Massachusetts and Pennsylvania bars and is admitted to practice before the U.S. Patent and Trademark Office, the U.S. Court of Appeals for the Federal Circuit, and the U.S. District Court for the District of Massachusetts. Daniel has a B.S. in Electrical Engineering from Tufts University and a J.D. from the Benjamin N. Cardozo School of Law of Yeshiva University. 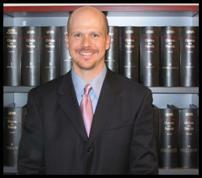 In addition, Daniel has over twenty-one years of patent experience as a member of Kriegsman & Kriegsman. Daniel has considerable experience in the preparation and prosecution of patent applications in the electronic circuitry, semiconductor fabrication, electromechanical, computer hardware, computer software, computer network, data storage, business method and mechanical arts and is also experienced in handling trademark, copyright and related matters. Daniel is a member of the Massachusetts bar and is admitted to practice before the U.S. Patent and Trademark Office and the U.S. Court of Appeals for the Federal Circuit. Over 48 years of combined experience in the field of intellectual property law.